Perfume is big business in France. In fact, many people believe perfume, cologne and particularly eau de toilette (given its French term) are unique inventions by the French. And it was Hungary, not France, which introduced the first European perfume in 1370. Still, France emerged as a global perfume hub during the Renaissance when the cultivation of flowers for their perfume essence began in earnest. 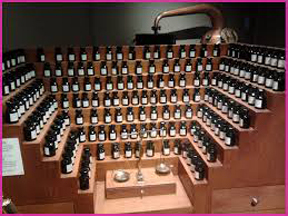 By the 18th century, the demand for perfume by the nation’s aristocracy and royal family (King Louis XV’s court was called “la cour parfumee (the perfumed court).” And it was about this time when aromatic plants and flowers were cultivated specifically for the perfume industry, particularly in the south of France. It also was in this part of the nation where the processes for extracting plant and flower essences were perfected. As such, it comes as no surprise that one of France’s best-known modern perfumeries—Fragonard—was launched here, in Grasse, a French Riviera town just north of Cannes that is known as the world capital of perfume. Why are we mentioning a Southern France company on a blog focused on Paris? 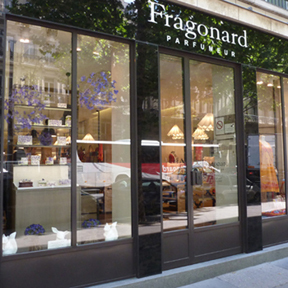 Because not only does Fragonard offer some of the best fragrances to be found anywhere in the City of Light at its seven boutiques, but the company also operates the truly unique and free Fragonard Musee du Parfum, located near Paris’s Opera Garnier. The museum was created in 1983 and is housed in a gorgeous 19th century townhouse on Rue Scribe, not far from the flagship Fragonard boutique on Rue des Capucines. Its many salons include exhibits of antique perfume bottles and toiletry sets; historic steam machines used to distill perfume extracts; displays showing how perfume has been made over the centuries, including modern perfume-making methods; period room recreations from the 18th and 19th century that show how perfume was stored and used by France’s elite; and perhaps the most intriguing—and most photographed—exhibit, an orgue a parfum (perfume organ), the slightly claustrophobic-looking work station lined with tiers of dozens of ingredient bottles at which perfumers create new combinations and new fragrances. 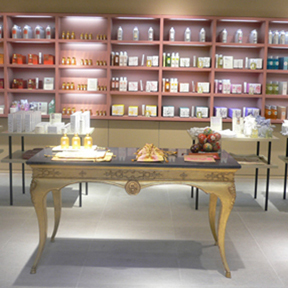 But even if visiting a perfume museum isn’t exactly high on your must-see list while in Paris, you certainly owe it to yourself to shop at one of the Fragonard boutiques scatted throughout the City of Light. Here, you can purchase cologne, perfume, eau de toilette, scented lotions, scented soaps and shower gels, candle and at some shops even high-end bath and bed garments and accoutrements. And guys, you’re in luck as there are several male scents to choose from, including our favorites Beau Gosse and Concerto. 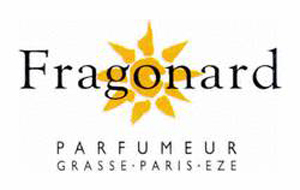 At the moment, Fragonard’s Paris boutiques offer 9 women’s parfums (including renowned Etoile, Belle de Nuit, Ile d’Amour and the namesake Fragonard fragrances), 7 women’s eaux de parfums, 16 men’s scents and 33 eaux de toilettes. 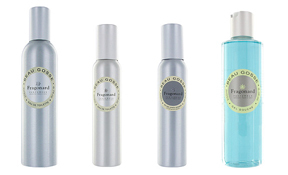 The men’s scents and women’s parfums come in the shop’s signature gold (for women) and silver (men) sleek metallic bottles. Other products are similarly elegantly packaged. Very popular options for women are collections of tiny bottles of perfume or eau de toilette, from as few as three scents up to 10. This allows you to try various scents at home to find your favorite or to just mix it up depending on your mood. And the assortments tend to be much cheaper than larger bottles of single fragrances. All of the shops employ highly knowledgeable employees who are skilled at helping you find the perfect scent for your skin tone, body and other personal characteristics. Of course, the final choice is yours, but their expertise is unparalleled and should definitely be relied upon. 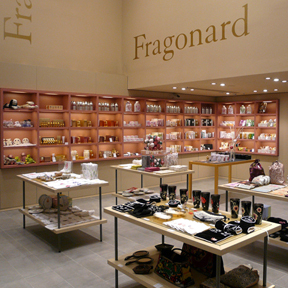 Trust us—make a shopping trip to Fragonard. You’ll get a wonderful souvenir from Paris that you’ll be able to enjoy for many months after you return home, and every time you catch a whiff of your fragrance you’ll be instantly transported back to your days in the City of Light! Carrousel du Louvre, 99 Rue Rivoli in the 1st Arrondissement (Metro: Palais Royal-Musee du Louvre); Hours: Daily 10 a.m.-8 p.m.
51 Rue des Francs Bourgeois in the 4th Arrondissement (Metro: Rambuteau/Hotel de Ville/Saint Paul); Hours: Monday-Saturday 10:30 a.m.-7:30 p.m., Sunday noon-7 p.m.
1 Rue Tardieu in the 18th Arrondissement (Metro: Anvers); Hours: Daily 10:30 a.m.-7 p.m. This entry was posted in French culture, Shopping and tagged Fragonard, perfume by Bob Adams. Bookmark the permalink.